From April 8th: Another competition emphasizing view was presented by Miller at Cornell University and colleagues at the University of Idaho and the University of British Columbia (Miller et al 2017). They used data collected by 14,000 amateur bird-feeder watchers in North America to build transition probabilities for dominance between about 130 North American bird species including Mountain chickadees, Black-capped chickadees, Downy woodpeckers, Wild turkeys and magpies. They found that the primary organization structure of birds was vertical and linear based on size: Wild turkeys excluded magpies from feeders and magpies excluded chickadees. Similarly, other birds of the same size had “corporate” organizations with a transitive style of dominance, i.e. – hypothetically, Stellar’s jays might dominate Downy woodpeckers at feeders who dominate European starlings who dominate Stellar’s jays. Still other birds might organize themselves in a despotic pattern, i.e. – hypothetically Peregrine falcons dominate all other birds. Supplement: October 29th, 2017 4:30 p.m. As I am entering the parking lot a group of 8 Black-billed magpies are attacking two Stellar’s jays. The battle is swift and the more aggressive magpies force the smaller jays from the trees. As I walk to the car, there is a rain of gray, white, blue and black fragments of feathers. Supplement: November 8th, 2017, 3:00 p.m. As I am traveling to the canyon, I drive past a flock of 10 American crows that are intermixed with 4 Black-billed magpies. The crows and magpies peacefully coexist. Although the crows are larger, the magpies are a particularly aggressive species and they can hold their own. In contrast, the magpies attack the smaller Stellar’s jays and force the jays from overlapping territories (e.g. – October 29th). The magpies have a “corporate” equal relationship with the crows, but a doministic relationship with the jays (April 8th discussing Miller et al 2017). This site was formerly occupied by a year long journal of nature observations concerning City Creek Canyon outside of Salt Lake City, Utah. The site was downed on November 5, 2017. The journal entries have been collected into an alpha reading version in EPUB format. A completed book is anticipated in three month. On November 5, 2017, notice of the draft EPUD version was sent to followers who requested copies. I am continuing editing and indexing of an e-book version. Two versions were distributed: an EPUB 2.0 version and a Kindle port. In book printed form, the journal would be between 300 and 350 pages. Proofing continues. There are another 40 years of newspaper articles to review and add. I have decided not add the last two months of Thoreau daily digests. I will provide future updates as work progresses. I anticipate that it will take another three months before I am finished. 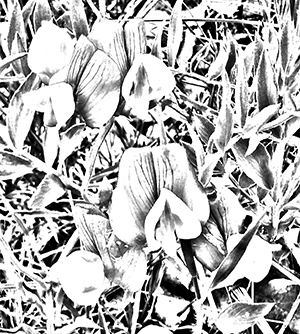 Today’s featured images are a sample of the line art to be included in the e-book version. 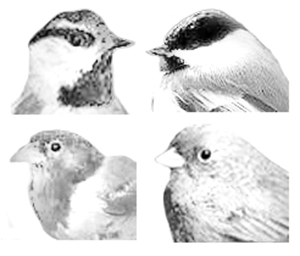 Common small winter birds: Upper Left – Mountain chickadee (Poecile gambeli) (Eye band). Upper right – Black-capped chickadee (Poecile atricapillus) (No eye band). Dark eyed junco (Junco hyemalis)(Black-hooded variant). Dark eyed junco (Junco hyemalis) (Gray-slate variant).